If you thought all was lost with the carnage that candy left behind, I'm here to tell you that it will all be alright.... We have been given a chance to give away some powerful tools for reclaiming your laundry! Tide Stain Release In Wash Booster - We've already shared the scoop on this fancy fixer. See our full Tide Stain Release Review for details! 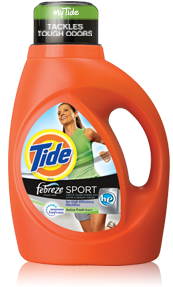 Tide to Go - Not anywhere near a laundry room? Save that stained shirt by treating it with a little Tide To Go before you get home.